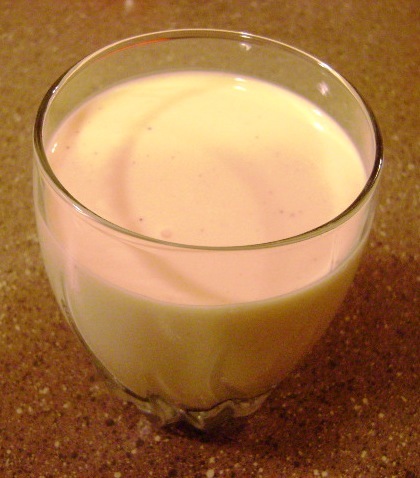 You can make your own luscious egg nog without coming anywhere near drinking a raw egg (sorry Rocky). The difference between Vanilla pudding and French Vanilla pudding is that–one has eggs already in the mix–the other doesn’t. Simply perfect. In a large bowl, mix the pudding with 2 cups of the milk. When pudding is set, add in the rest of the ingredients. Mix very well. Chill. In a large bowl, mix the pudding with 2 cups of the milk. When pudding is set, add in the rest of the ingredients. Umm, when did you make that??? I wanted to try some! It might redeem me from not liking the real egg nog!